This is the first in a series of reports by CNET Editor at Large Tim Stevens, who is traveling around the world to track the progress of teams competing for the Google Lunar XPrize. When innovation stalls, sometimes it just needs a little push. A bit of force applied in the right direction and then, momentum imparted, the rest takes care of itself. That push can come from many sources, but one tends to be the most effective: money. It was a monetary prize that spurred Charles Lindbergh to strap into the Spirit of St. Louis and become the first to cross the Atlantic in one shot. It was a monetary prize that encouraged Scaled Composites to build SpaceShipOne, ultimately spawning Virgin Galactic. And, next year, it will be a monetary prize that puts the first non-government-funded rover on the moon. Or, possibly, multiple rovers. The new competition is called the Google Lunar Xprize. And, like the Ansari Xprize from a decade ago that greatly accelerated the race toward commercial space travel, this new competition is already bringing the same increase in pace to lunar surveying and exploration. Along the way, it's giving the members of 18 independent teams around the world the challenge and opportunity of a lifetime. Xprize calls itself an "innovation engine." Its website states: "Rather than throw money at a problem, we incentivize the solution and challenge the world to solve it." Its first competition was the Ansari Xprize, and the problem was: how do we kickstart the commercial space industry? Scaled Composites won in 2004 at the Mojave Air and Space Port, a $10 million check handed over after the team launched its craft to the edge of space twice within the span of two weeks. That's so far been the organization's most famous competition, but there have been dozens more, typically funded by charitable individuals or organizations. In 2010, the Very Light Car won the Progressive Insurance Automotive Xprize, a $5 million award for the first car to manage more than 100 miles per gallon. However, that car still had to be built in such a way that would ultimately allow for its eventual mass-production. A year later, Elastec/American Marine won the $1 million Wendy Schmidt Oil Cleanup Xchallenge by developing technology that skims oil from the surface of the ocean three times faster than the previous best solution to the problem. It was back in 2007 that the organization introduced the Google Lunar Xprize, a $30 million purse of prizes for the first independent team to land a rover on the moon and move 500 meters or more across the lunar surface, all while sending back high-definition video to those of us still stuck on Earth. It's been nearly seven years and, finally, we're almost ready for launch. Teams from around the world were invited to enter to compete in the GLXP. Thirty-three of them made the cut to become official entrants. But, over the years between then and now, many of those would drop out. Others would others join forces and resources, resulting in a pool of 18 current teams that are still in the running. To help with that part of the equation, Xprize created what are called Milestone Prizes. These are a sort of interim competition, a $6 million pool to be paid out to the teams capable of proving to Xprize judges that their landers can land, their rovers can rove, and their imaging systems are capable of capturing the unique visual essence of the lunar surface. Five teams were accepted into the Milestone Challenge phase: Astrobotic and Moon Express from the U.S., Indus from India, Part Time Scientists from Germany, and Hakuto from Japan. Those five will be demonstrating their lunar technology through the summer of 2014 and we will be there. We'll be bringing you in-depth profiles of each of these teams, plus the other competitors, along with footage and reports from the ground as they make their way through this summer's Milestone tests ahead of ultimately landing on the moon by the end of 2015. 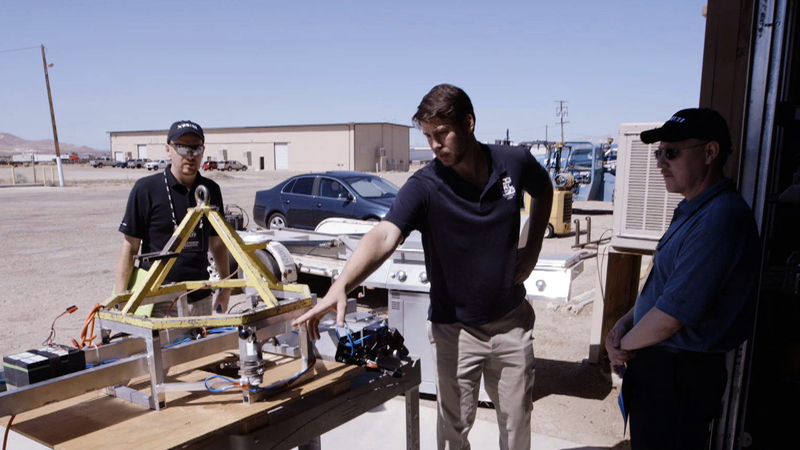 More coverage of the Google Lunar Xprize on CNET.